Agios Petros Beach, or St. Peter’s Beach, is the longest beach in Andros Greece. It is, however, full organized despite its size. Unlike Chrissi Ammos and Batsi, this beach is exposed to the winds of Andros, which makes it popular for surfers, windsurfers, and kitesurfers. There’s a beach bar and nearby taverns for refreshments, as well as fresh fish for lunch of supper. As this is near the two other popular beaches of Andros’s west side, St. Peter’s Beach is also accessible by car or bus and there’s plenty of room for parking. From the beach, you can also see the tall tower of St. Peter after which the beach was named. If you’re looking for something a little more secluded and natural, check out Fellos Beach. Fellos is close enough to the center of things that it’s easy to access, but the small bay feels distant and peaceful when you’re there. Part of the appeal is the lack of organization, leaving the beach to its natural beauty. Natural shade is provided by the nearby trees and cliffs. It is exposed at times to the summer winds, but for the most part it’s a gentle, safe beach for swimming, as well as fishing. You can find Andros hotels and rooms nearby as well as taverns along the coast. The pleasant Kypri Beach is near Batsi as well as the port of Gavrio, so it’s easy to access. The clear waters and protection from wind make the perfect conditions for swimming or enjoying a day with the family. 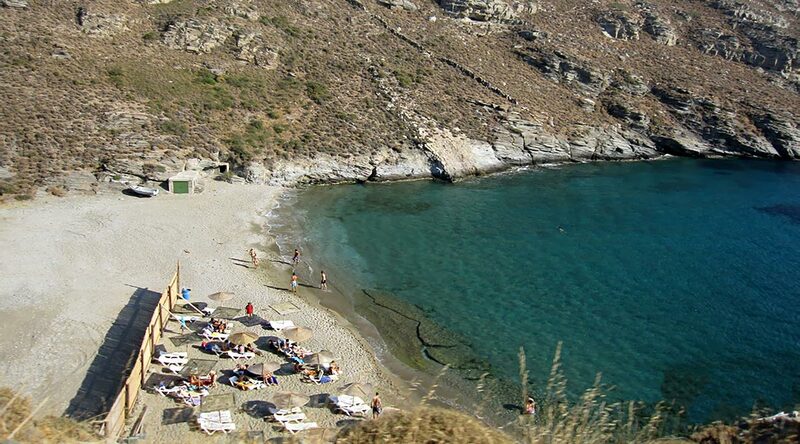 This beach is partly organized, so you can enjoy the conveniences of sunbeds or the natural beauty of Andros Greece. However, if you choose the part of the beach that isn’t organized, you’ll want to bring an umbrella as it is very sunny with little shade. There’s something intimate and romantic about this beach, an excellent place to watch the night fall with a significant other. Apothikes is another beach that’s particularly protected from the summer winds, so you can easily lounge here or go for a light swim. Parts of this beach are organized while others are left natural and free. It’s a beautiful beach with bright blue waters against a stately hill. Overall, it’s a small, intimate cove perfect for a date night and popular with those on sailing holidays. The pebbled shores of Chalkolimnionas Beach is another lesser known beach, much like Apothikes and in fact quite near to that cove. It’s a little out of the way, but can still be reached by car. The name Chalkolimnionas means “port of brass” for the mines that operated in this area in ancient times. This beach is organized with sunbeds and umbrellas for your convenience. 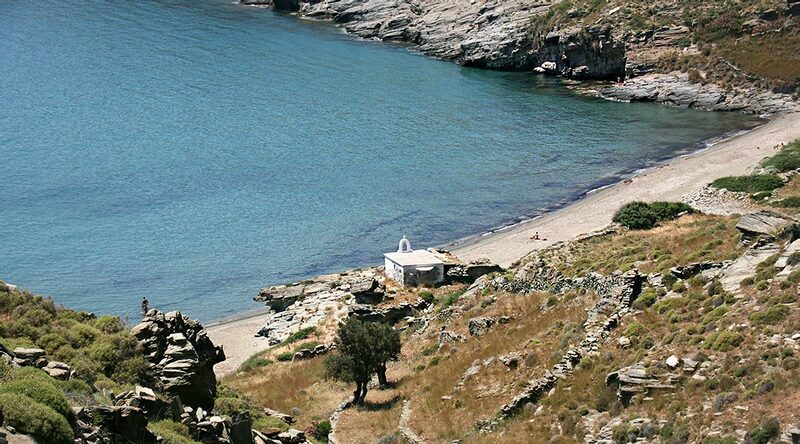 Find the perfect Andros accommodation for your holiday, near your favorite Andros beaches. 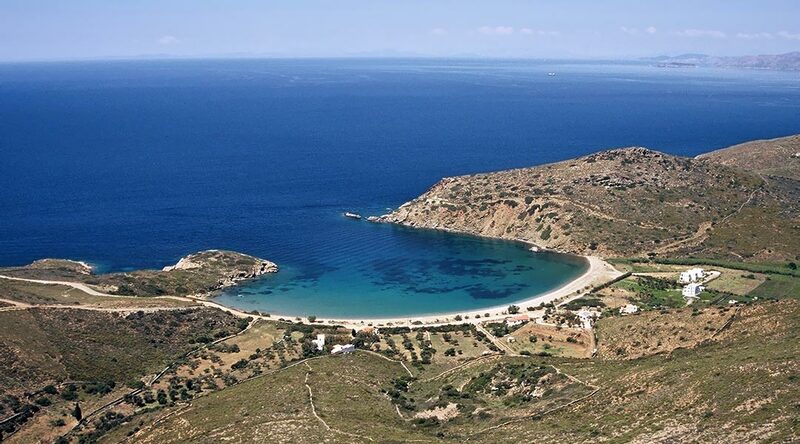 Stay tuned to learn about more of the beaches to explore in Andros Greece. Digital Strategy & Web Creations by: United Online S.A.